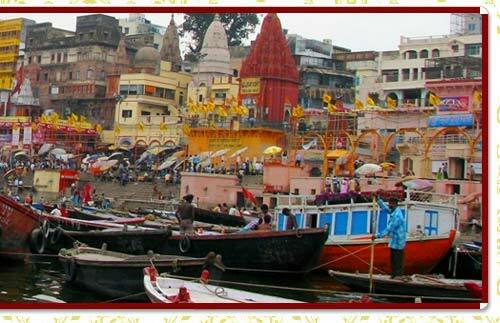 Varanasi - the abode of lord Shiva is the most colourful city offering diverse flavours to every tourist. Nestling on the Ganga Ghats, the city is famous for its tastebuds, ethnic Indian fashion, temples, spirituality and salvation. At no other place, one can find out such a variety. Boating on the Ghats is the most contemplating experience ever in Varanasi. Also, the city is foodie's delight. No one can forget the spicy chat out here or the world famous Benarasi Pan. 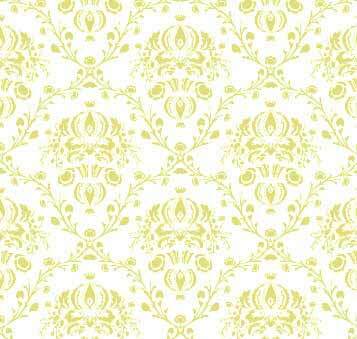 The tranquil city is also known for manufacturing the world over famous Benarasi Saree. The city is a center of Hinduism, Jainism and Buddhism. Main Attractions : Dashashwamedh Ghat, Kashi Vishwanath temple, Sarnath Temple. Geographic: Located on the banks of the Ganges is one of the holiest & most ancient cities of India, Varanasi. Famous for: Famous as Kasi, it was a renowned center of learning throughout the world. By Air: : Varanasi is well linked to adjoining tourist destinations of Agra, Khajuraho & Delhi. By Road: Jaunpur- two hours, Allahabad - three hours, Lucknow- eight hours. By Railways: Delhi - nine hours, Gorakhpur - five hours, Lucknow five hours, Patna- six hours. 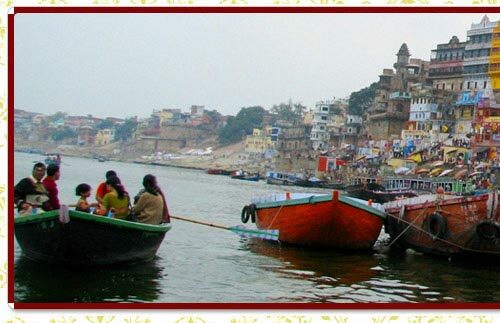 Varanasi, one of the oldest continuously inhabited cities in the world, known popularly as Benaras and Kashi is regarded a holy city by Buddhist, Hindus and Jains. The Kashi Naresh or Maharaja of Kashi - SHIVA, is the center of all cultural & all religious celebrations. These events are also closely associated with the Ganga and the city has been a cultural and religious centre in North India for several thousand years. Thus for all these reasons, people refer to Varanasi as "the city of temples", "the holy city of India", "the religious capital of India", "the city of lights", and "the city of learning." All facets can be viewed as part of Varanasi. This is one of the most famous Hindu temples dedicated to Lord Shiva, referred in Hindu theology since a very long time & where at least once in life a Hindu is expected to do pilgrimage. The main deity is known by the name Vishwanatha or Vishweshwara meaning the Ruler of the universe. The temple has a beautiful 15.5m high golden spire & is thus sometimes called as the Golden Temple, similar to the Golden temple, a Sikh Gurudwara at Amritsar. The place also known as Mrigadava, Migadaya, Rishipattana, Isipatana is the deer park where Gautama Buddha first taught the Dharma, and where the Buddhist Sangha came into existence. It is mentioned by the Buddha as one of the four places of pilgrimage which his devout followers should visit, if they wanted to visit a place for that reason. Singhpur, a village one km away from the site, was the birth place of Shreyansanath, the eleventh Jain Tirthankar of the present age (Avasarpini), and a temple dedicated to him, is an important Jain pilgrimage.